Traders now face restrictions on how they use information. Insider trading will become a crime under a landmark new law. Gordon Gekko would have loved Russia. Just as Oliver Stone’s classic movie “Wall Street” found a new life with a sequel in 2010, Russia’s Duma finally signed off on a law to ban the insider trading that put both Gekko and his protégé, Bud Fox, in jail at the end of the 1987 film. For more than a decade, Russia’s authorities have been debating what is one of the most basic laws for any stock market, but vested interests have blocked any progress until now. The new law is part of Russian President Dmitry Medvedev’s drive to turn Moscow into an international financial center, which was launched in April 2008 just before the markets went into free fall. 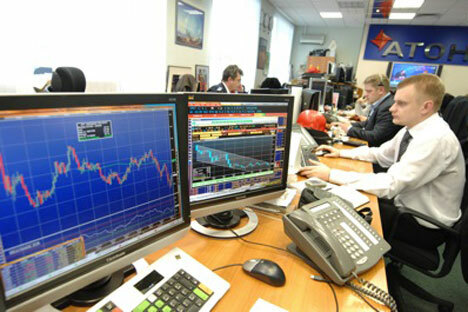 “Medvedev needs to push through a much stricter and sounder set of financial rules and regulations. This will guide the attitudes and approaches of regulators operating in the future financial center as well as potential participants,” said Kim Iskyan, a director at Eurasia Group, a global political risk consulting firm based in Washington, D.C.
Too many people were making too much money for the rampant practice of profiting on privileged information. Scams like front-loading orders were commonplace schemes in which traders and banks both buy a stock immediately before putting through a large institutional order to buy a stock from a client. They then pocket the several percentage bump in the share prices inevitably received from a big block order. The ban on insider trading bill is one of the cornerstones of the plan. Other bills currently being debated concern more esoteric subjects like settlement and clearance that are equally necessary. The new law describes what kind of information can be regarded as inside and which executives, officials, companies and agencies can be regarded as insiders. The bill will impose a fine between $10,000 and $333,000, or a prison term of up to seven years for price manipulators. And similar fines or a prison term of between two and six years apply to the improper use or disclosure of insider information. “The new law is a big step forward, but investors will want to see a solid track record over an extended period, proving that Moscow is a stable, effective and reliable financial center before they place any faith in a new investment regime,” Iskyan said.